A group of 13 students at The Bay School of San Francisco is preparing to launch a video camera and scientific instruments into the stratosphere on April 15, 2011. 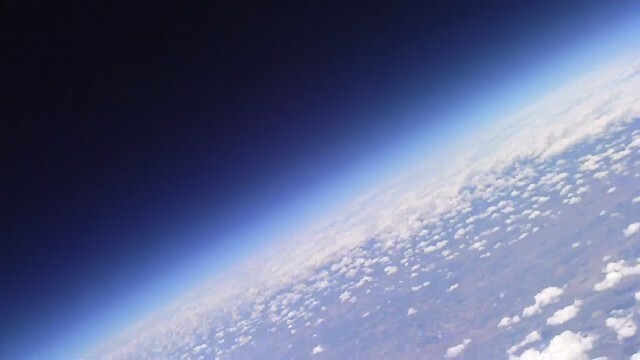 Using a helium‐filled weather balloon, the goal is to recover images of the curvature of the earth and blackness of space from an altitude of 100,000 feet and to measure atmospheric conditions above 99% of the mass of the earth's atmosphere. Led by research instructor Craig Butz and astrophysics instructor Richard Piccioni, the students are spending the week before launch designing and building their second such probe, dubbed Ikaros II, as part of the school's annual Intersession Program, a week of hands‐on, experience‐based classes that are a central part of the Bay School's forward‐ looking college preparatory curriculum. Ikaros II will be a follow‐up to the Bay School's first successful near‐space balloon mission on May 22, 2010. During a one‐hour‐twenty‐minute flight, Ikaros I flew over Pinnacles National Monument, travelling at up to 173 mph in the jet stream. It reached an altitude of 75,774 feet, twice as high as commercial airliners fly. During the flight, the payload got a taste of the harsh conditions beyond the protection of the Earth's atmosphere. Temperatures dropped as low as 52 degrees below zero and atmospheric pressure was 5% of what it is at sea level. Students tracked Ikaros I using GPS data received from an onboard amateur radio transmitter. Goals for Ikaros II include penetrating further into the stratosphere and taking temperature and pressure measurements in this layer of extremely thin air above the effects of the Earth's weather. The team also plans to develop a reliable easy‐to‐launch set‐up that will facilitate the regular launch of student science experiments and collection of data related to climate issues. The Bay School of San Francisco, founded in 2004, is located in the Presidio of San Francisco, offering a college preparatory program designed to prepare students for lives of leadership and engagement in the rapidly changing, global world of the 21st century. All Bay School students are required to complete a minimum of 4 science courses to graduate. In addition to core physics, biology, and chemistry courses, the science curriculum offers an extensive selection of upper‐level electives including: Astrophysics I and II, Bioethics, Brain and Mind, Field Biology, Genetics and Biotechnology, Hydrology, Geology of the Western United States, and the popular SF Bay level I and II courses in which students investigate the waters of San Francisco Bay and surrounding region from a biological standpoint. 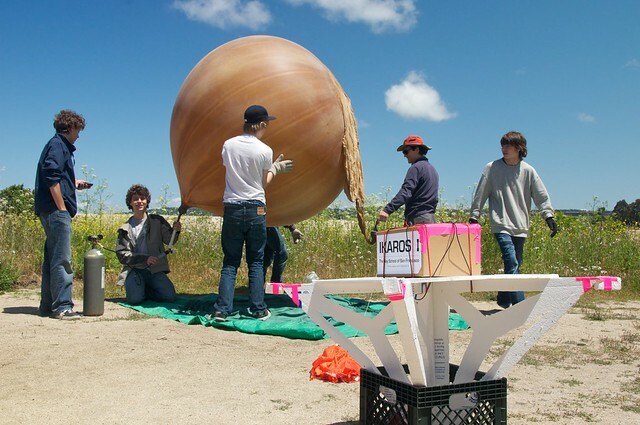 Students in the Bay School of San Francisco Near‐Space Balloon Project prepare to launch Ikaros I probe into the upper atmosphere on May 22, 2010. View of the edge of space, taken from 75,000 feet by the student‐designed Ikaros I on May 22, 2010.